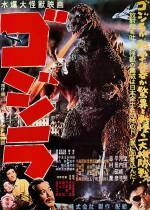 Godzilla is a 1954 Japanese Science fiction Kaiju film produced by Toho. Directed by Ishirō Honda and featuring special effects by Eiji Tsuburaya, the film starred Akira Takarada, Momoko Kōchi, Akihiko Hirata and Takashi Shimura. The plot tells the story of Godzilla, a giant monster mutated by nuclear radiation who ravages Japan, bringing back the horrors of nuclear devastation to a country that experienced it first hand. It was the first of many Kaiju films released in Japan, paving the way and setting the standard for the genre and future Kaiju films, many of which feature Godzilla. In the spring of 1956, TransWorld Releasing Corp. released an edited version of the film theatrically in the United States titled Godzilla, King of the Monsters!. This version featured newly shot scenes of Hollywood actor Raymond Burr interspliced with the original Japanese footage. In the spring of 2004, Rialto Pictures gave the original Japanese-language version of the film a limited theatrical release (with English subtitles) in the United States to coincide with Godzilla's 50th anniversary.